The below procedure should be done today evening itself i.e 08-01-10. After completing the below said procedure make a SANKALPA - is a Sanskrit word meaning a resolution that you will visit Badami Banashankari Amma TempleClick on this link to know more on Banashankari Temple - Badami on Jan 14 (Banashankari Jatre Starts) or any day between Jan 14 to Feb 14. One Big piece of Red Cloth (Kempu Vastra in Kannada) with border. Border preferably in Reshme (kannada) or Pattu (Tamil). It may be Blouse piece or Cotton cloth. Few small pieces of Red Cloth. Turmeric Powder & Kumkum Powder. Place good quality of Turmeric Powder & Kumkum Powder packets in Small Red Cloth and tie the knot. Take the Toor dal in your both hands as shown in image above and put it 3 times in the small Red Cloth and tie the knot. The 3 times signifies Kaya, vacha, manasa. 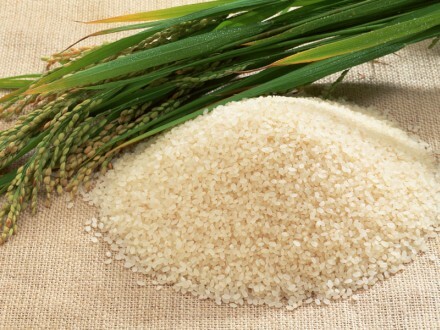 Take the Rice in your both hands as shown in 4th image above and put it 5 times in the small Red Cloth and tie the knot. Take the Rice flour in your both hands as shown in 4th image above and put it 2 times in the small Red Cloth and tie the knot. Take the Wheat in your both hands as shown in 4th image above and put it in the small Red Cloth and tie the knot. If your family consists of 4 members put it 4 times, if it consists of 6 members put it 6 times. Clean the floor and spread the Big Red Cloth with border. One Full dry coconut. 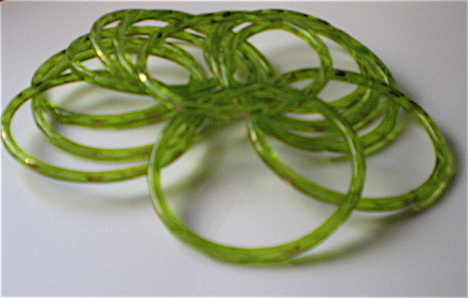 (Kobri - Kannada ; Kopra - Tamil), Six Green Glass Bangles (Harisu Bale - Kannada ; Paccai Valaiyal - Tamil), One Turmeric plant (Arishina Kombu - Kannada ; Manjal kombu - Tamil), Betel or areca nut (Adake - Kannada ; Paakku - Tamil), One One Rupee Coin and tie the knot and keep it in pooja room. Take this whole setup and offer it to Banashankari Devi Temple - Badami when you visit between Jan 14 to Feb 14.